Visionox is based in China and was founded by Tsinghua University and other investors in 2001 with an aim to develop and manufacture OLED display and lighting panels. The company has been producing PMOLED displays for many years, and has begun AMOLED production in late 2015. In 2018 Visionox announced that it started to produce flexible AMOLED displays at its new 6-Gen OLED fab, in Hebei Province. In May 2018 Visionox demonstrated its many PMOLED and AMOLED displays and prototypes at SID 2018. In 2015 Vixionox spun-off its OLED lighting business into a separate company called Yeolight Technology. 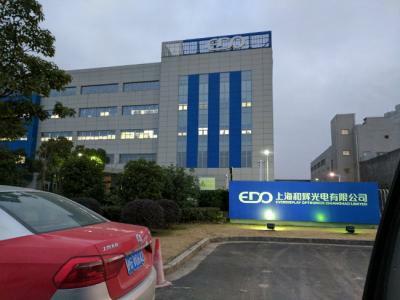 China-based OLED producer Visionox announced that it started to produce flexible AMOLED displays at its new 6-Gen OLED fab, in Hebei Province. The new line has a monthly capacity of 30,000 substrates (although it is likely that it will take some time before the new fab runs at full capacity). Visionox's first flexible OLED fab total investment is around $4.5 billion. Visionox is already producing rigid AMOLED and PMOLED displays. The world's leading display conference, SID DisplayWeek, is now over, and it was a great event. This is just a quick first impression post - you can expect many more OLED-Info articles in the next couple of weeks after we get back to the office and sort through all the materials, interviews, photos and videos we have. While LCD is still the dominant display technology in many applications, it is clear that OLEDs are taking over as the most promising technology, and we have seen exciting presentations and demonstrations from many companies. It was interesting to see how the three Chinese OLED makers at SID, BOE, Visionox and Tianma, have large booths with many flexible and foldable OLED displays and end products, while Samsung and LG Display both have very limited show areas compared to previous years. This is an interesting evidence to China's rising dominance - but also to Samsung's and LGD's focus on more consumer trade shows such as CES. Visionox showcased it latest flexible OLEDs in a recent tradeshow, and Notebook Italia published this interesting video showing all of Visionox's displays. 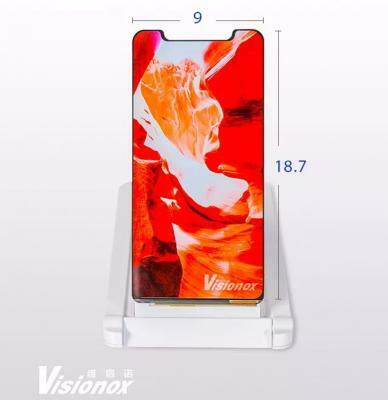 Visionox is showing several interesting displays - a 5.99" 1080x2160 (403 PPI) AMOLED edge type flexible OLED, a full-screen 5.99" 2160×1440 flexible AMOLED and a 6.21" notch-type 2160×1440 AMOLED, with a touch sensor under the screen. 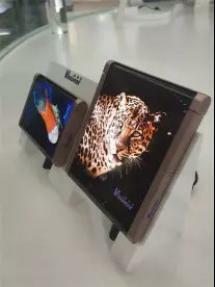 Visionox developed a 7.2" foldable AMOLED display, and has tested its reliability. Visionox says that even after 200,000 folding cycles, the display still showed good reliability. Visionox also performed extensive surface hardness and ball/pen drop tests on this display. Visionox will discuss the reliability and failure mode analysis of its foldable OLEDs at SID Displayweek 2018 in May - and will also hopefully demonstrate this new display. Visionox performed the tests on a display module that included the AMOLED panel, a touch layer and a thin circular polarizer layer. Universal Display announced that Visionox (GVO) signed an OLED evaluation agreement. Under this agreement, UDC will supply GVO with its phosphorescent OLED materials for display applications. UDC did not provide any more details or financial terms. Visionox started mass producing AMOLED panels in June 2015, at the company's Gen-5.5 AMOLED line in Kunshan. 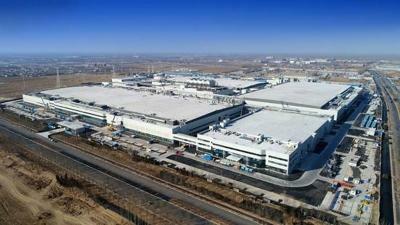 Visionox is also constructing a $4.5 billion 6-Gen production line in Hebei that will have a monthly capacity of 30,000 substrates, and will be mainly used to produce flexible AMOLEDs. Production should begin in mid-2018. 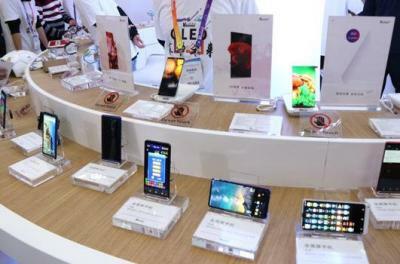 Market research company Sigmaintell estimates that China-based display makers shipped 9.8 million OLED displays in 2017, mostly for smartphone applications. Everdisplay was the largest producer in terms of units, shipping 3.8 million displays (enjoying large orders from Huawei and Hisense), while Visionox was the top vendor in terms of display area shipped (30,000 square meters, out of a total 78,000 sqm produced in China in 2017). Looking into 2018, Sigmaintell sees a large increase in production volume in 2018. Visionox landed orders from ZTE and Xiaomi and is expanding its production capacity, and BOE is also expected to increase shipments from its flexible 6-Gen AMOLED fab that will enter full capacity in Q2 2018. Finally, Tianma is also expected to increase production having won orders from Asustek Computer.